Two 25-Year-Old Created Brand New Tesla Competitor! 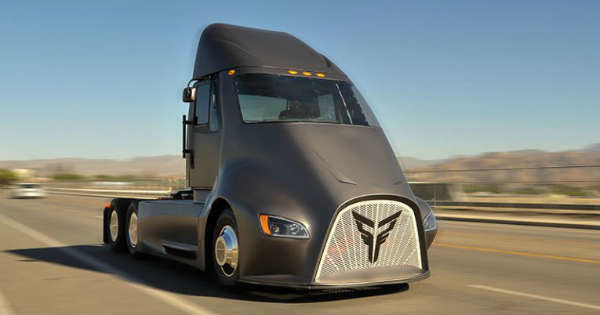 Two 25-Year-Old Created Brand New Tesla Competitor – Thor Trucks! With the blooming of the vehicle industry in these past several years, some of the most amazing and stunning vehicles have emerged out of nowhere and onto our streets. Cars and trucks unlike any other before are currently roaming the highways in our country. The latest Tesla trucks are definitely what the future is going to look like, but it is time for it to face a tough competition. Namely, two young designers from a company called Thor Trucks, designed and manufactured something that is going to amaze many. As one of the company`s co-founders says, Thor Trucks has always been looking for better ways to improve the environment by making electric powered vehicles. However, the beginnings were extremely difficult. They began by working in a warehouse and for their first project; they took an old diesel engine and turned it into an electrical beast. Then they installed it into a big truck and on the inside, they placed a massive tablet. Their prototype truck is called the ET-One and even at first glance, it surely looks something from the future. Its slick and steady look surely does add on to the fact that this truck is going to be a massive competition to the Tesla. The company expects this truck to cost $150,000 for 350 miles of range. Even though we are not sure about the prolific future of the company, we are all sure that people are soon or after going to get drawn upon this amazing truck!